Sindangan is known for having some old churches, with the most popular being the Saint Joseph the Worker church, which became a parish in 1935 under the Archdiocese of Zamboanga. Its first church building was constructed at the Saint Joseph College before it was moved to its current location. 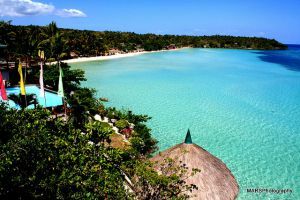 Aside from its churches, the place is also known for having great beaches, including the Pitogo Beach, Sevilleno Beach Resort and the Winschin Pool Resort. The place celebrates several festivals all year round, and one of them is the Saint Joseph the Worker Town Fiesta, which happens on the first day of May each year. During the event, the townspeople honors Saint Joseph the Worker, who is their primary patron saint, serving as a role model for all fathers and laborers. He is considered fit as such, considering that the people of Sindangan are known as hard workers since the time before World War II. Another event to watch here is Siari’s Fiest Day, which happens every 3rd Sunday of January to honor Sto. Nino de Cebu, where there is a grand fluvial procession at the eve of the feast. During the culmination of the event, there will be a procession of street dancers who compete for a certain prize. Other festivals are the Pasidungog Festival and the Linggo ng Sindangan, which is the municipality’s charter day that is observed from December 17 to 22. As for the food here, it is said that Sindangan people offers the best seafood that will rock your appetite. One of the popular meals here is the kinilaw, which is prepared with raw fish fillets that are tender-soaked in the subtle sour sauce or the local coconut vinegar, making it so delicious. While there are different versions of kinilaw in the Philippines, you might find the one in this municipality the best of them all. 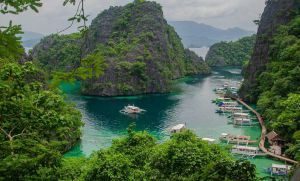 There are many enjoyable things to do in Sindangan, like spending a day in its beaches and savoring the delicious food it has to offer. If you want to discover the origins of the culture here, then you can meet with the Subanen people who are a substantial part of the populations of Zamboanga del Norte and del Sur. There are airlines that fly from Manila to Dipolog, such as Philippine Airlines and Cebu Pacific, even offering daily flights. From Dipolog, you can reach Sindangan by jeepney, van, bus or a hired motorcycle.